This past weekend, we started re-sealing our wood countertops that we installed during our kitchen remodel a few years ago. We love the countertops, and they have held up well. However, the finish on them was thinning and a couple of rings had developed, so it was time for some maintenance. With our schedules, this maintenace has taken a couple of days, and well, that means no elaborate meals in the kitchen. Last night, I pulled out a freezer meal (Meatballs & Mashed Potatoes with Gravy). And tonight? Well, since it is Fat Tuesday I thought that pancakes would be appropriate. Ella was soooooo excited to have Swedish Pancakes for dinner. She was actually hoping for some leftovers so that she could take them to school today. Unfortunately for her, there are no leftovers to be had. I had her try one "my way" with a little fresh lemon juice and sugar, and she liked it. 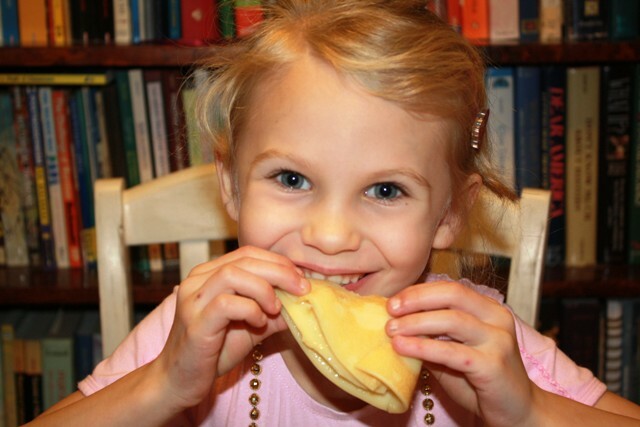 Lucie, however, only tried one bite of one prepared "my way." 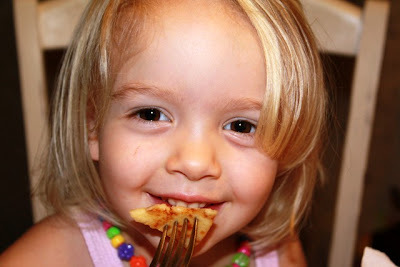 But, she was quite happy when I let her have one with maple syrup on it! Every now and then, it IS fun to have breakfast for dinner. 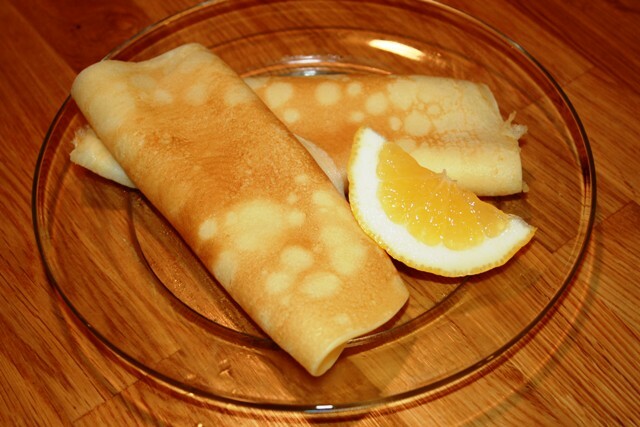 We just might follow tradition and make pancakes our meal on Fat Tuesday.